I remember a former manager of mine, who I loved and respected very much, saying this on her way out to an extended 3-week vacation. And I remember thinking, “THAT’S what you’re looking forward to? Not drinks on the beach or sleeping late or eating really great food?” Hmmmm . . .
That was before I held a leadership role. Leadership has its challenges and rewards, but the constant pressure to make decision after decision after good decision can wear down even the best of us. From the minutia of office supplies and relationship issues amongst your team, to the critical choices of technology systems, innovation, vision and stakeholder satisfaction, decision-making can become a dense blur of burden. So, how do we hold it together and keep our “heads in the game” and keep our teams moving forward? Decision-making skill is a recipe that includes equal parts of training, education, experience, gut, trust and instinct. Training, education and experience are tangible. Visible. Measurable. Definable and comfortable. Gut, trust and instinct are . . . none of those things! They require practice, finesse, dare I say intuition. They demand confidence. They beg for space to become real. So how the heck do you work on that? Give yourself a few extra minutes to get dressed tomorrow morning. Before you just go grab the blue shirt and black pants . . .pause . . . take a deep breath. Close your eyes. Now, ask your gut, your instinct, your intuition, “What color shirt should I wear today?” Pause. Breathe. Listen. Laugh. Think to yourself, “This is ridiculous.” It’s all good. Keep going! 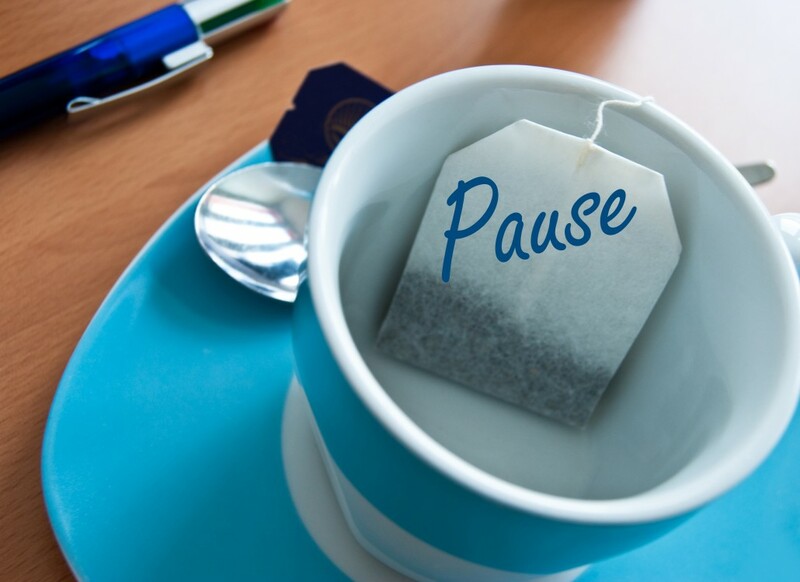 Throughout your day, practice pausing. What kind of tea should I have for my mid-morning break? What kind of salad should I bring home for dinner? Which route should I take home? This is what “getting in touch with your gut” looks like. You can actually practice and develop it. Sweet, right? And it’s fun. And it will help you be a better leader. The trick is to start with things that don’t have a big risk involved or a big emotional charge. Practice creating space for simple things like shirts and salads, and then when a real challenge lands on your desk at work, create space for the magic. Pause, breathe, listen. You will find that your decision-making muscle will get stronger and stronger over time and it won’t be so exhausting. And then you can go on vacation and enjoy the simple things again. Eat, drink, sleep and be happy! Meeting Makeover Initiating Change: Do I Have To?